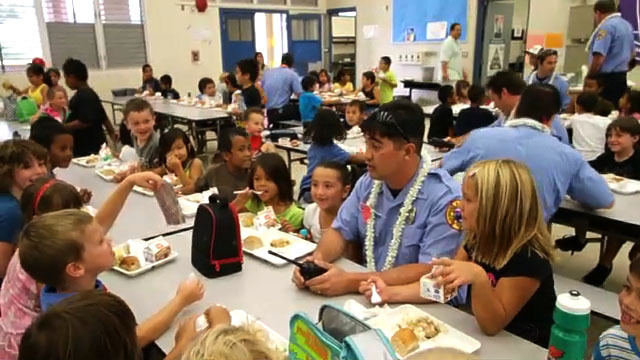 State Farm Insurance officially donated 500 home security systems on Monday (July 24) to Hawai’i County firefighters, in appreciation for the protection they provide to the community. The Hawaii Department of Transportation (HDOT) is partnering with the Department of Human Resources Development (DHRD) to conduct two “Women in Airport Fire Service” workshops on Saturday, Nov. 21, 2015 at 9 a.m. and 1 p.m.
Our office have been informed of an organization by the name of “FAR” (Firefighters and First Responders) have been contacting members of the public and retired fire personnel soliciting monetary donations to assist Fire Fighters and EMT’s. This information is false. The Hawaii Fire Department held commencement exercises for its 38th Fire Fighter Recruit Class on Saturday, September 19, 2009, at the Hilo Yacht Club in Hilo. The new Fire Fighters are: Jason Habu, West Hawthorne, Paul Higgins, Roland Laliberte, Jeffrey Maki, Andrew Miller, Tyler Nagamine, Christopher Olayon, Jared Spencer, Waylen Towata, and Damien-Joseph Wengler-Ioane. Volunteers and workers participating in Project Compassion at Denny’s restaurant in Kona.